Leadership plays a key role in every organization, no matter the size or industry. Learning how to lead in a complex environment is a vital characteristic for organizational success. Embry-Riddle Worldwide offers a Bachelor of Science in Leadership (BSL) degree program that prepares students to be holistic, effective leaders who positively influence their organization at its core. In a 2015 study with human resource professionals across eight countries, nearly half of participants indicated leadership was the hardest skill to find. The study also determined that while 40% of surveyed companies offered leadership development, only 15% of employees felt that the training prepared them for leadership positions. The B.S. in Leadership focuses on developing a holistic leader through comprehensive and practical leadership education. Students who complete the degree will have knowledge in foundational leadership theories, complexity, ethics, critical thinking, communication, culture and diversity, decision-making, coaching and mentoring, and other areas related to leadership. This degree ensures that students have the appropriate skills to contribute as a leader in all aspects of society. With Embry-Riddle’s online educational opportunities and a network of education facilities designed to support student advancement in the U.S. and abroad, students have the flexibility to learn at a campus near them or even in their own home. Every industry — from aviation and aerospace to manufacturing, military and healthcare - is looking for strong leaders to command the way for future generations. The B.S. in Leadership degree at Embry-Riddle’s Worldwide and Online campus prepares students to assume these leadership roles and usher their organizations into new horizons. Our leadership program provides students with a robust knowledge base and skillset that they can apply immediately in their personal and professional lives. The program is designed for a wide range of professionals that want to enhance their leadership skills. Graduates will have hands-on experience with the skills, knowledge and competencies that create leaders who stand out. Their studies will explore the historical roots of modern and emergent leadership theories, develop conflict management methods, promote practices that drive organizational change and more. 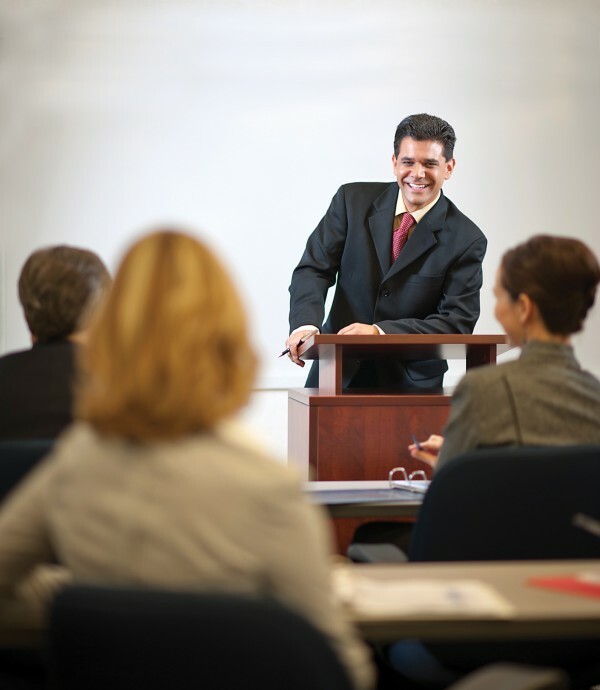 Our faculty members have terminal degrees and are experts in the field. Representing a wide variety of academic disciplines, these educators demonstrate a vast range of university and college-level teaching experience as well as a history of leadership in academia and the private or public sectors. Embry-Riddle’s Worldwide & Online Campus accommodates students who need to stay close to home to pursue a degree. Students can take this entire program online and complete course work as it fits into their schedules. Worldwide & Online Campus students benefit from being part of the Embry-Riddle family and are granted access to expert faculty, fellow students, and alumni with whom they can share experiences and network. Leadership plays a key role in today’s global economy. In fact, leadership has been one of the primary beneficiaries of globalization and over the past several years has become one of hottest topics in business. Learning how to lead in a complex environment is vital to organizational success. The Bachelor of Science in Leadership (BSL) focuses on developing a holistic leader through a comprehensive and practical leadership education. Students who complete the degree will have knowledge in foundational leadership theories, complexity, ethics, critical thinking, communication, culture and diversity, decision-making, coaching and mentoring, and other areas related to leadership. This degree ensures that students have the appropriate skills to contribute as a leader in all aspects of society. If technical transfer credit is not applicable, the 24 credit hours can ONLY be used toward College of Business (COB) minors. Minors require fulfillment of a minimum of 15 credit hours. If no minor is chosen, then MGMT electives 200-300-400 level courses may be used. The Complex Adaptive Leadership theory (CAL) incorporates several bodies of knowledge, including biology, complexity, systems, management, and leadership.